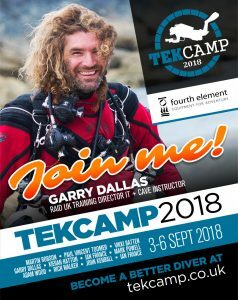 Whether you’re looking to become a technical diver or simply interested in improving your personal diving, TEKCamp is an unmissable opportunity to ‘speed date’ some of the UK’s top technical diving instructors from the leading training agencies, for five solid days of fabulous diving, coaching, talks, workshops and – of course – FUN! 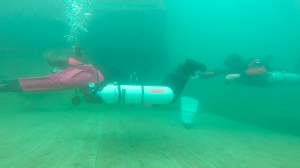 TEKCamp at Vobster Quay is unique opportunity to gain the skills and knowledge to take your diving to a whole new level. 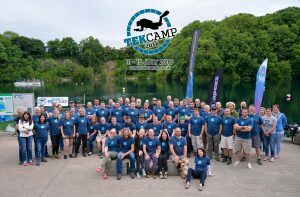 TEKCamp is not a formal training course and does not culminate in a certification – it is an award-winning five day coaching program designed to develop your diving skills and ability beyond recognition under the direct guidance and mentoring of the industry’s leading technical instructors. TEKCamp will transform your diving – your skills will be sharper, your confidence will sky-rocket and you’ll be a far safer diver! Are you ready to take the challenge? Regardless of your experience level, our talented team of top technical diving instructors will help you to achieve your diving goals – from pin-point buoyancy control and streamlined trim to greater confidence and in water ability, TEKCamp will make you a more capable, more confident and far safer diver! Each and every day you’ll participate in tech workshops covering essential areas of the technical diving skillset. Whatever your level of experience or area of diving interest, our team of technical instructors will tailor each session to your specific needs to ensure that you progress at a pace that’s right for you. One of the highlights of the TEKCamp week is the various keynote talks presented by some of the biggest names in diving throughout the world. Previously, we’ve attracted some big names to our keynote speaking slots including sidemount guru Lamar Hires, rebreather guru Kevin Gurr and record breaking cave explorers Rick Stanton MBE and John Volanthen. In 2015, we welcomed Phil Short talking about his famous J2 exploration, Jill Heinerth talking about her cave explorations including her Antarctic Iceberg cave dives, then we had Leigh Bishop talking about his numerous deep wreck explorations including Britannic and Lusitania, sister ships to the Titanic. What is there not to miss?? Oh yes, the great atmosphere… and many huge raffle prizes! If there are any action/underwater images you require see Mr. Brown!